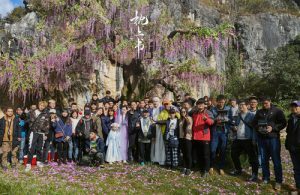 After 162 days, the fantasy television drama Eternal Love, The Pillow Book <三生三世枕上書> finally concluded filming on November 19. 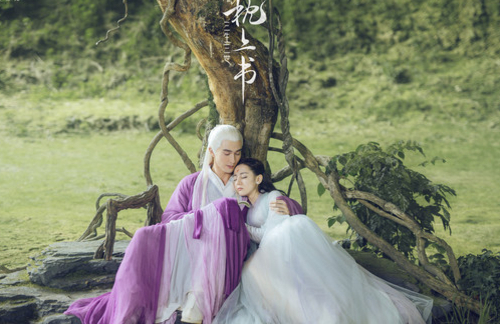 The much-anticipated sequel to last year’s hit series Eternal Love <三生三世十里桃花>, which was an adaptation of the beloved novel series Three Lives, Three Worlds <三生三世>, starring Dilireba (迪丽热巴) and Vengo Gao (高伟光) as the main leads is set to premiere online next year. It is confirmed that Dilireba will reprise her role as the nine-tailed fox demon Bai Fengjiu, while Vengo will be portraying Emperor Lord Dong Hua once again. Their bittersweet love story captured the hearts of viewers in Eternal Love and broke the audience’s hearts with their unhappy ending. 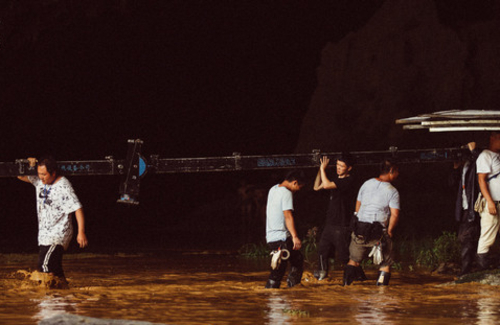 While Eternal Love’s storyline did not follow that of the original book, the sequel might be following it more closely as Eternal Love, The Pillow Book has the rights to remake the novel this time around. Thus, fans of the first installment are curious about how the plot will play out. In fact, in some photos published by the production team to commemorate filming wrapping up, sharp-eyed netizens pointed out the white-hair child standing in front of Dilireba in the group photo. They made the assumption that the child is Dilireba and Vengo’s son in the drama, who also appears in the novel. This suggests the drama will follow the novel’s storyline pretty closely. So excited for this drama! Can’t wait for it to be out next year. Yay! 2019 seems pretty boring so bring on “The Pillow Book”.